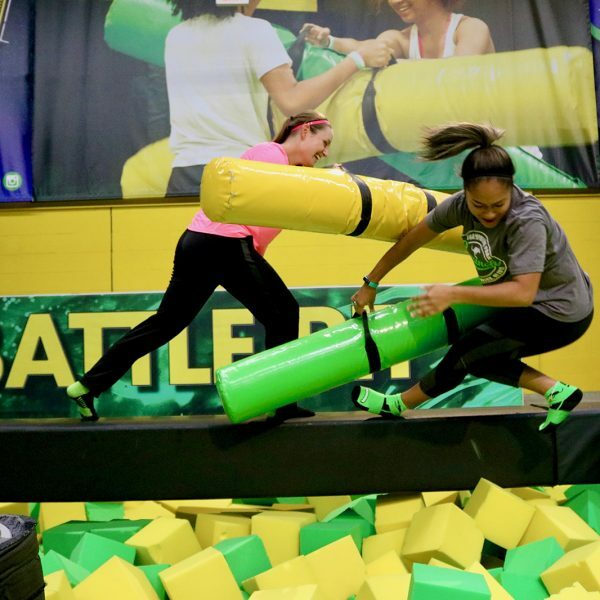 With 20 locations and more on the way, they’ve brought innovation to trampoline parks. 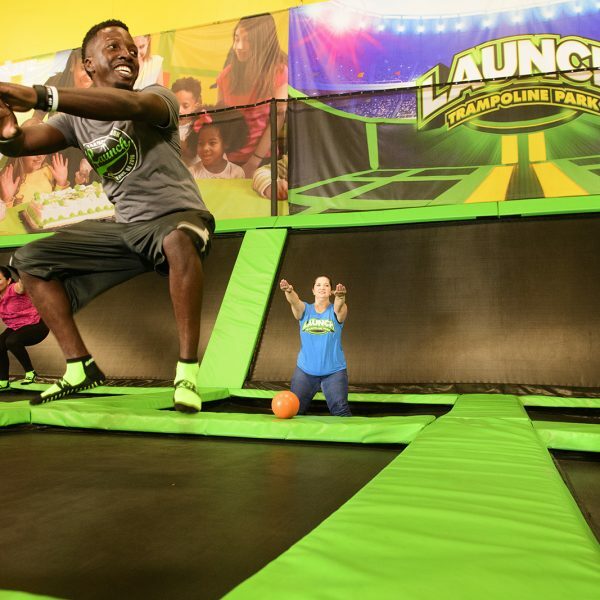 WARWICK — You might expect the trampoline business to be an up-and-down sort of enterprise, but for former New England Patriots defensive back Ty Law’s Launch trampoline park, everything is headed skyward. Law and business partner Rob Arnold opened their first Launch in Warwick in November 2012. They have moved into a new Warwick location, which also houses their corporate offices, and have a manufacturing facility, where 15 employees make equipment for the chain’s other 20 locations. 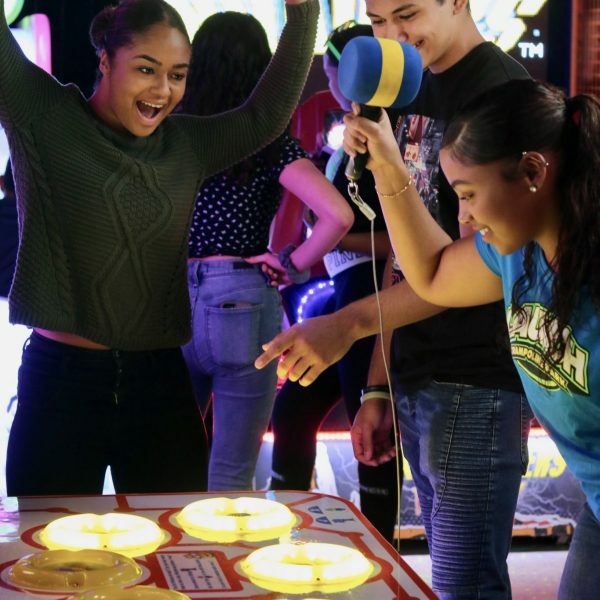 They have facilities on the cusp of opening in Queens, New York, which opens this weekend, in Richmond, Virginia, opening this month, and in New Jersey, opening in January. In all, they have contracts for 60 locations, including sites in Michigan, Mississippi, Texas, Nevada, Colorado and California. The company has 1,300 employees nationwide and expects that number to almost double next year, to 2,400. And it takes in more than $45 million a year, according to Law and Arnold. A high-energy environment envelops visitors when they walk into the Warwick facility at 920 Bald Hill Rd. 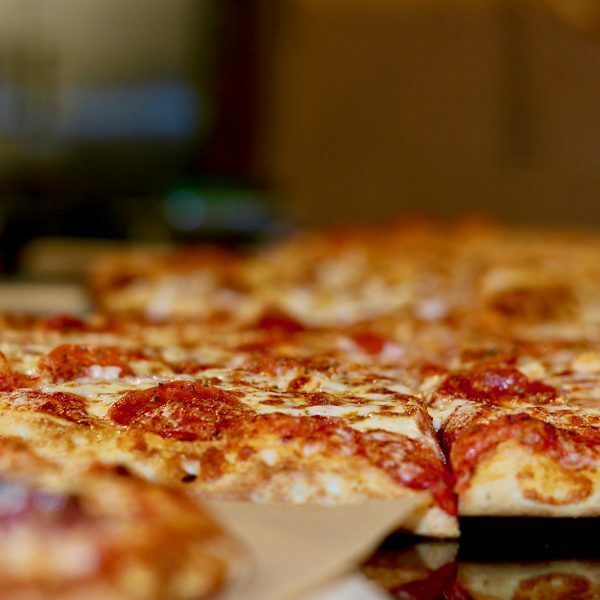 After checking in at a kiosk just inside the doors, they pass through Krave restaurant, which fills the building with the aroma of baking pizza. Past that are the lights of an upscale video arcade. 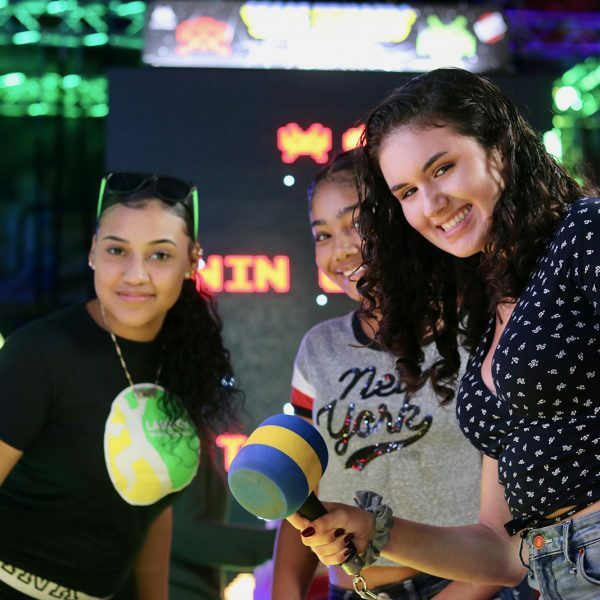 And then, lit like a television studio, are the main attractions: a ninja warrior course, a rock-climbing wall above a padded floor, a joust arena, where combatants try to knock each other from perches with giant padded bats, and trampolines. Lots and lots of trampolines. 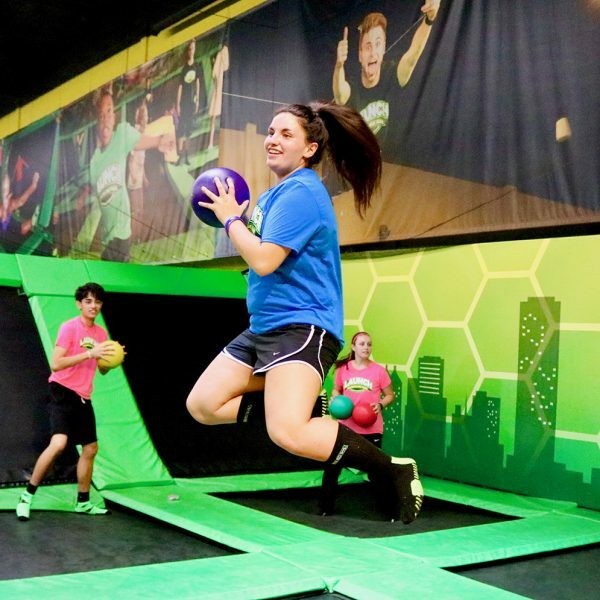 Square trampolines are laid out side by side, with padded borders between them, to create an extensive bouncy floor that stretches from one side of the building to the other. Some areas are dedicated to just bouncing up and down. Some are for dodgeball and basketball. One area is reserved for toddlers to bounce. Upstairs is the Fury laser-tag arena. And soon to be installed is the Paradox virtual-reality room. 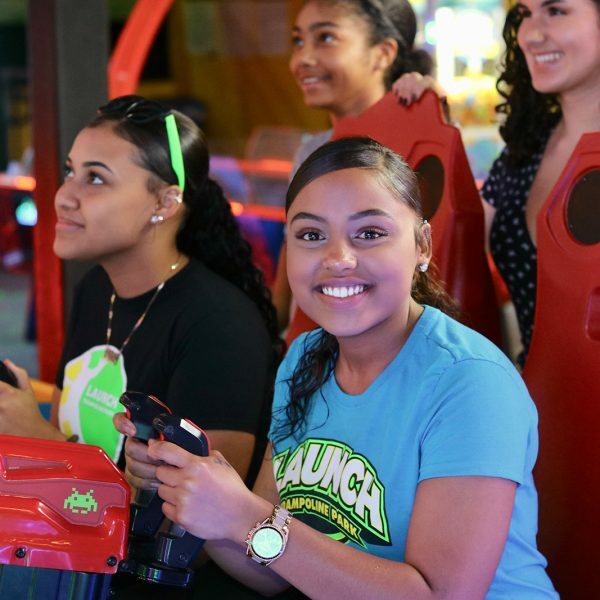 This spectrum of activities is part of Launch’s formula to separate it from some trampoline parks, which feature little more than trampolines. 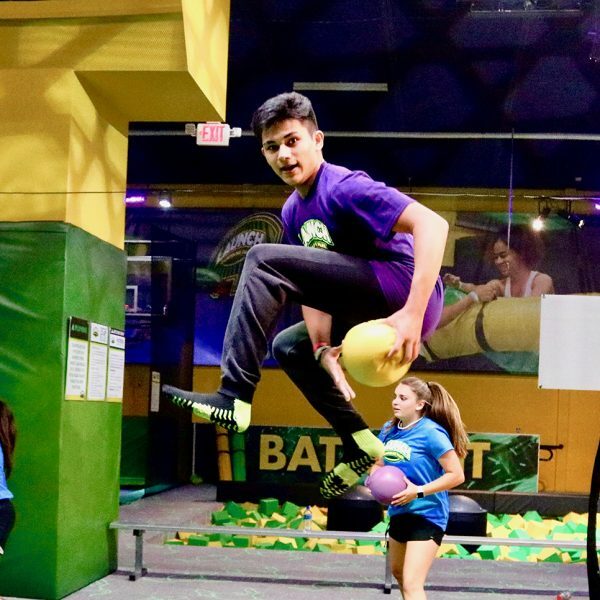 When they started the business, trampoline parks were typically in industrial parks, where big spaces were available at relatively low prices. 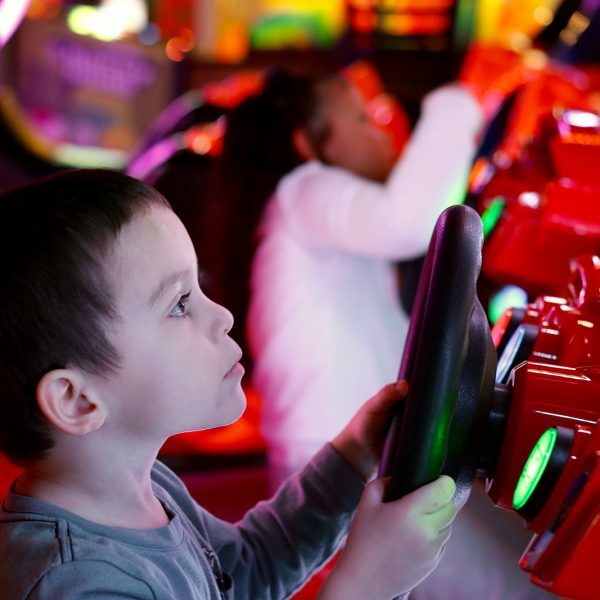 “Our job as a franchiser is to continue to innovate,” added Arnold. After retiring from the National Football League, Law, like many star athletes, thought about going into the restaurant business as a franchisee. That changed when Arnold, then a contractor, was doing work at Law’s home in Lincoln. Law — a two-time All-Pro, five-time Pro Bowl selection, Pro Bowl MVP and winner of three Super Bowls with the Patriots — would frequently bring beers to the construction crew at the end of the day, and he and Arnold became friendly. 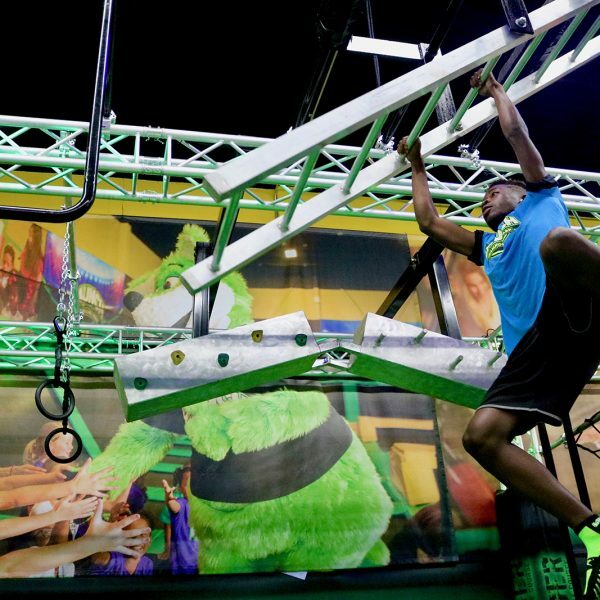 At one point, Arnold and his wife, Erin, visited a trampoline park in Florida. “We need to open one of these,” she said. “You’re crazy,” he told her. “That was the furthest thing from my mind,” said Law, even though he could never get his kids off their backyard trampoline. So he took his son to a trampoline park in Boston. 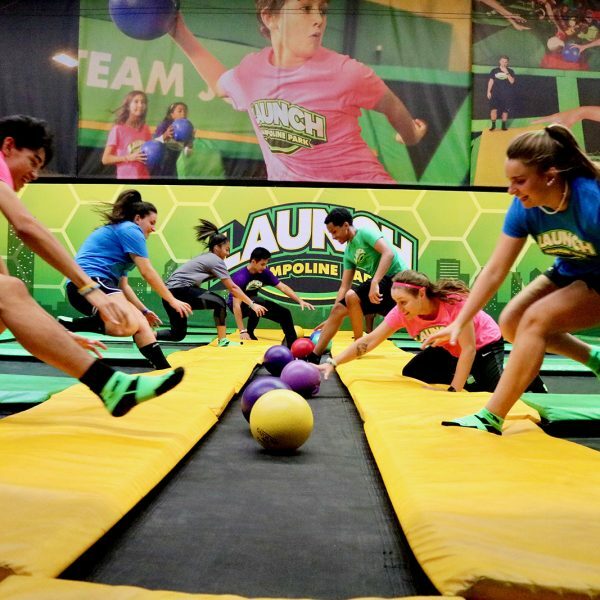 Law set to scouting trampoline parks. In Florida and in New York. In Texas and in California. 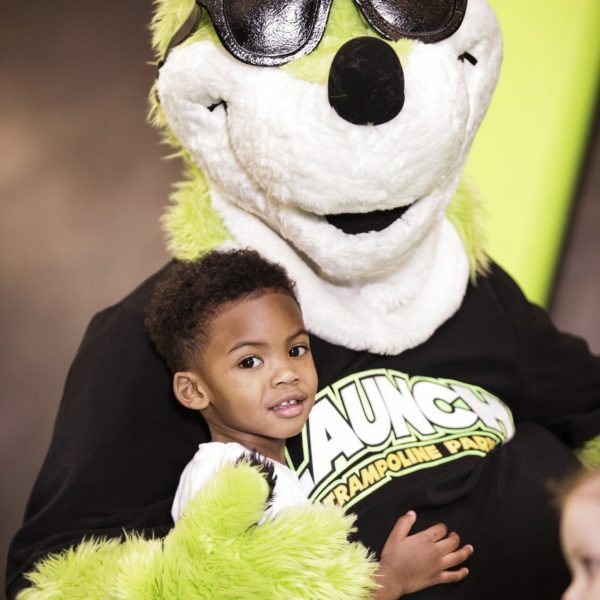 Arnold and Law decided to go into business together, originally as franchisees of another brand, but ultimately running their own place — and now places, which have grown in number to the point where they keep the owners and their customers jumping.